Checked out Balthazar, a downtown bistro, for the first time this past weekend. Dinner was great — I’m still worried about allergies so I opted for vegetarian fair. But the onion tart and house salad (with salted ricotta) didn’t disappoint. Balthazar. What a great name. 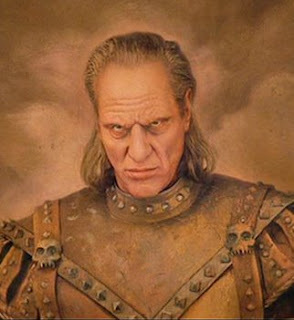 Makes me think of Vigo the Carpathian from Ghostbusters 2. Also reminds me of my favorite name of all: Hrothgar. now that we’ve seen ghostbusters 1, I need to see 2 finally!